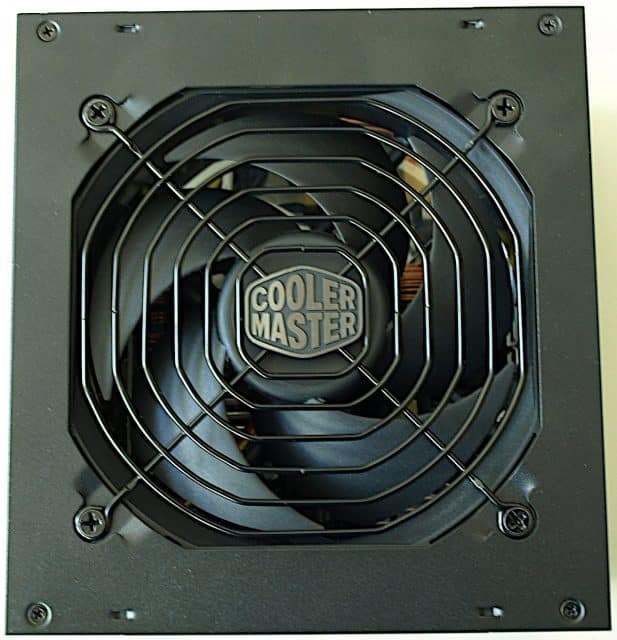 Cooler Master (CM) has been in the PC computing space for years and is not a new name in PSUs. 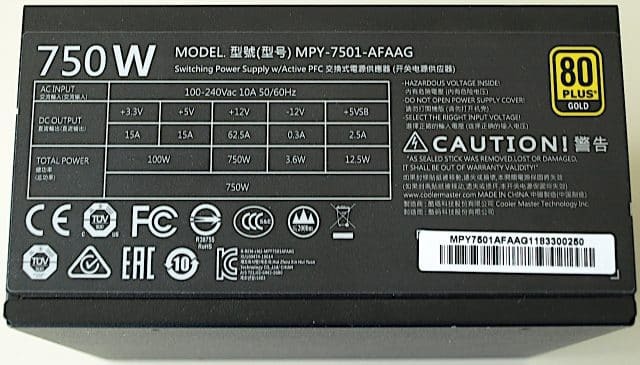 In fact, we reviewed a power supply from them nearly eight years ago. 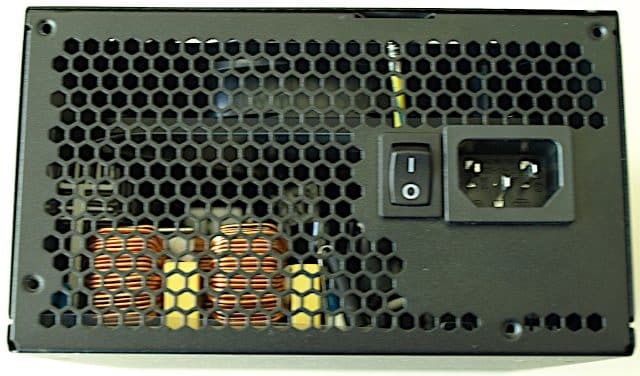 From that time, CM has produced multiple different lines of power supplies for varying budgets, each with a different level of quality due to the internal components used. 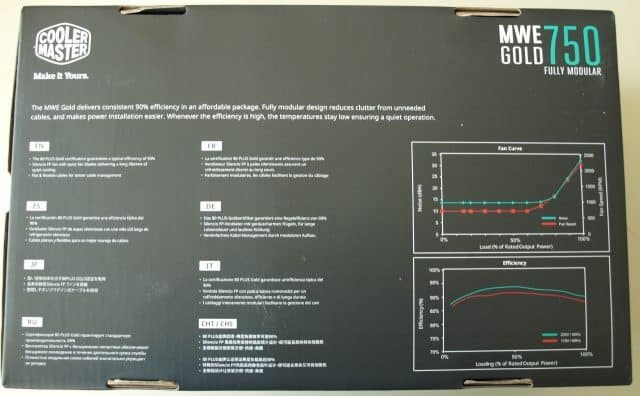 The Cooler Master MWE series was announced back in June of this year promising to deliver 80 Plus Gold level efficiency while not breaking the bank. Is the MWE line still a good choice in the low to mid-range segment? We take a closer look below and find out. 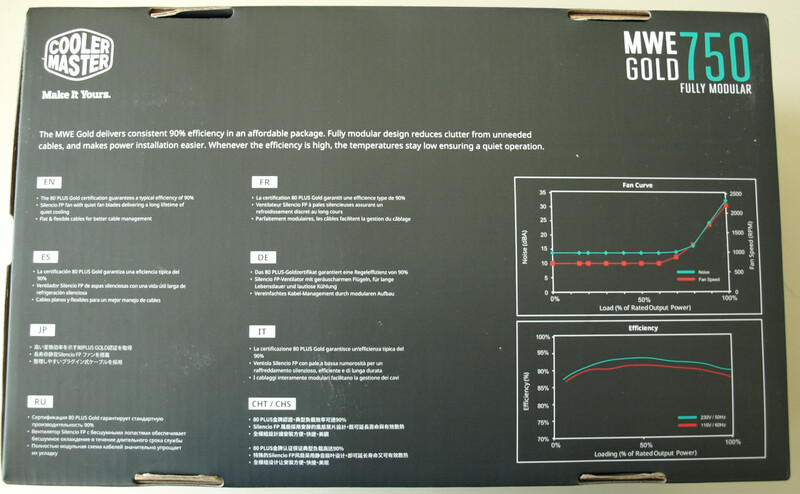 We already know from the front of the box we’re off to a good start with a 5-year warranty, DC/DC converter design, and 80 Plus Gold. The back side is pretty sparse, but we also see that it uses a Sliencio FP fan, comes with flat cables to ease cable management, and even gives some pretty graphs of the variable speed fan feature and the efficiency curves. 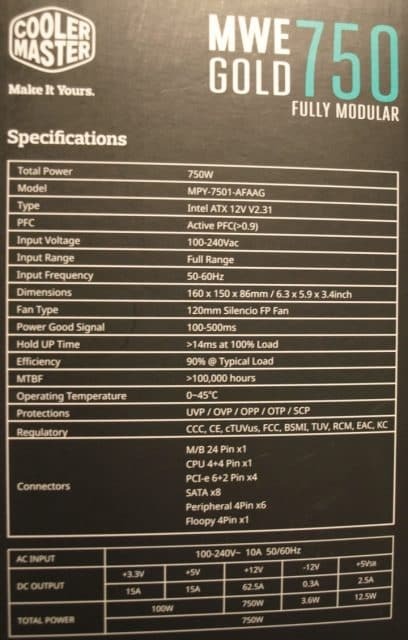 On the side of the box, we find a listing of features, but nothing that particularly stands out as far as PSUs go. Cooler Master’s website has a spec listing as well. I’m less than thrilled by the decision to make the GPU cables such that they could put up to 300 W of load on a connector designed for 150 W – the PCIe specs call it a 150W connector for a reason. On top of that, not only does that connector omit a pin to save cost, they decided to put that on the corner. Omitting one of the middle pins instead would be slightly better thermal design wise and costs the same. The ATX cable being removable is of little use since the PSU is not usable without it, and it would be highly unlikely for a PC that requires a 750 W PSU to not use an 4/8 pin EPS cable. On the PSU itself, we see the spec table on a label, complete with flaws. The phrase “select the rigght[SIC] input voltage!” is a double fail since not only is there an obvious spelling mistake, it is not applicable because it is a universal input PSU. The warranty phrase also appears to be written by someone with very limited English skills. Those might seem like minor flaws, but those are the kinds of mistakes often found on counterfeit products. English aside, there’s something else that’s a bit concerning – the 5 V rail is only rated for 15 A. At a power budget of 900 mA per USB port, that’s only enough for 16 ports, which is not that unusual on a high-end PC, let alone everything else that uses 5 V such as SSDs. Granted, in most PCs, it isn’t likely for all USB ports to be under max load at the same time, but it can definitely waste time for the mobile developer who recently installed a new SSD and is trying to debug why his PC sometimes crashes when deploying an app to his cluster of 12 phones. And while fast charge USB-C ports are powered by 12 V from their own DC/DC converters, the common USB-A port we have known for over 20 years isn’t disappearing anytime soon, so the decision to cut back on the 5 V rail is very premature. The 62.5A on the 12V, however, should handle even dual GPUs with ease with room to spare. The other side is pretty plain in comparison. On the back, there’s the service switch, power input, a lot of vent holes, and a big blank spot. Why the big blank spot is there is a mystery and isn’t going to help with thermal design. Now we have a look at the Sliencio FP fan, although we still don’t know what that really is other than the curvature to the blades presumably to increase static pressure. For that, visit the Cooler Master site and in summary, it’s more or less that plus a FDB bearing and a digital driver circuit. Let’s take a look inside. As an electrical engineer, I have well over 17 years of experience on how to do it safely, but please don’t try it yourself if you don’t know how to avoid the angry pixies. Besides, we take it apart so you don’t have to. 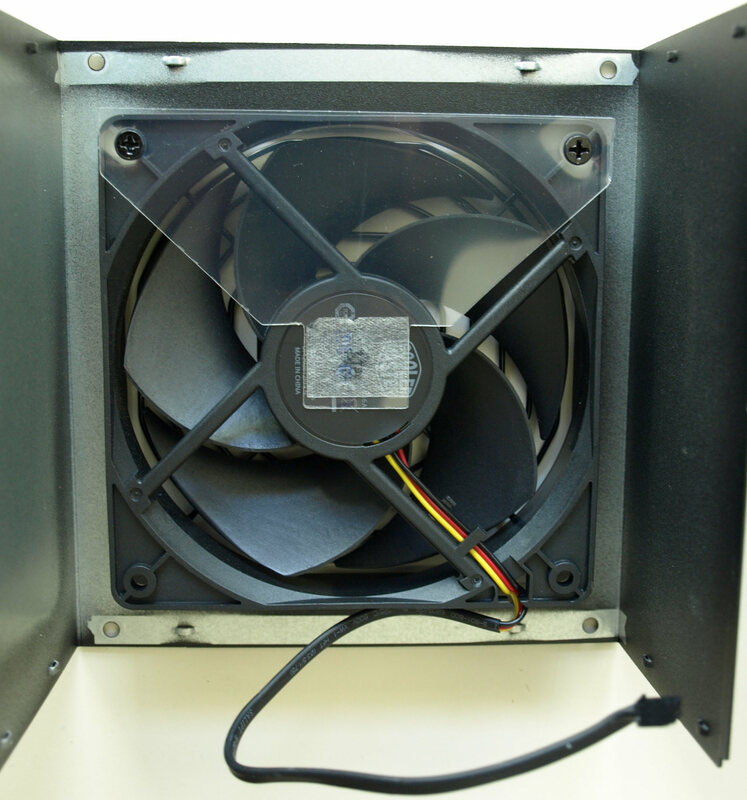 There’s a piece of plastic to direct the airflow, which also blocks nearly 1/3 of the fan area. We also note that the fan has three wires. 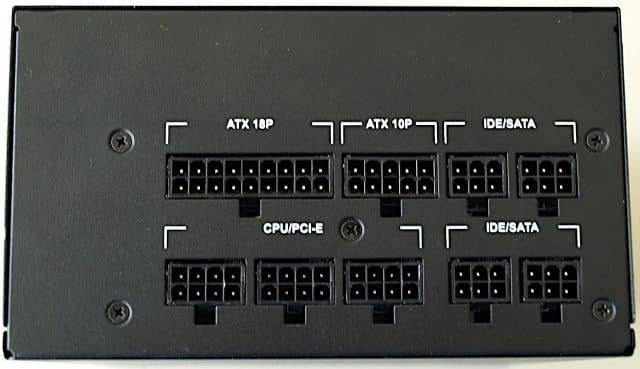 I would have liked to see an option to connect that to a motherboard fan header (like many Antec PSUs have) for those who want yet another indicator on the system monitor. 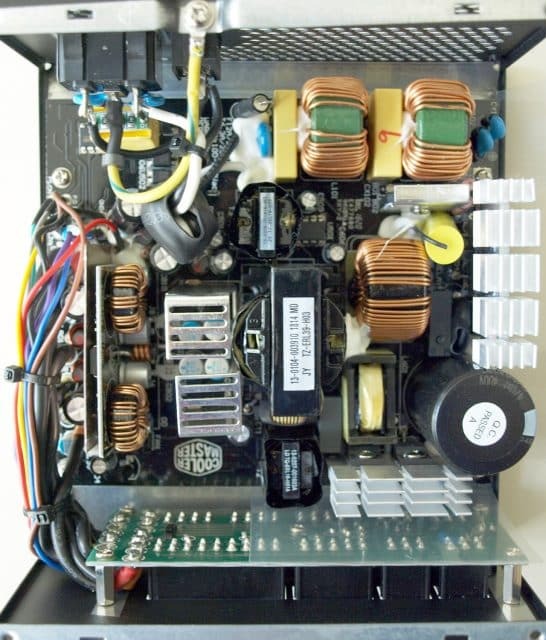 We note that the PSU is a fairly standard design with an active PFC front end going into a full bridge converter. As usual, there’s a NTC bypass with a relay to boost efficiency, but the relay appears to be very small. An ICE2QR4765 supplies the 5 VSB and a voltage regulator card with a UP3861P supply the 5 V and 3.3 V. A ST9S313C handles the protection and numerous LC filters help to keep EMI down. There’s even a small snubber board on the AC input capacitor. The build quality isn’t the greatest, as noted by the capacitor installed at an angle and one heatsink significantly out of alignment. Every electrolytic capacitor appears to be Elite brand, in an effort to keep costs low. Such low cost capacitors tend to not last long under load, resulting in premature failure or intermittent reliability issues. On the other side of the board, there’s a NCP1654 for PFC and a CM6901 for main PWM. Also visible are the P16N04S MOSFETs for 12 V rectification, along with a number of soldering defects on the large traces. I prefer TO220 MOSFETs over SMD MOSFETs in that application since they have better thermal connection to the heatsink. The standby power draw is legendary at 0.04 W. The idle power draw is less impressive at 8.8 W but not bad. Where it shines is under load; the efficiency goes into the 90% range at around 350 W of load. The output voltage droops slightly under load but remains more than good enough for any realistic use of the PSU. The ripple is also very good at 13.4 mV RMS on 12 V, 12.3 mV RMS on 5 V, and 9.82 mV on 3.3 V. All these measurements were done with a 1 ohm power resistor as a load (to avoid “period skipping”) and a bandwidth of 20 MHz. 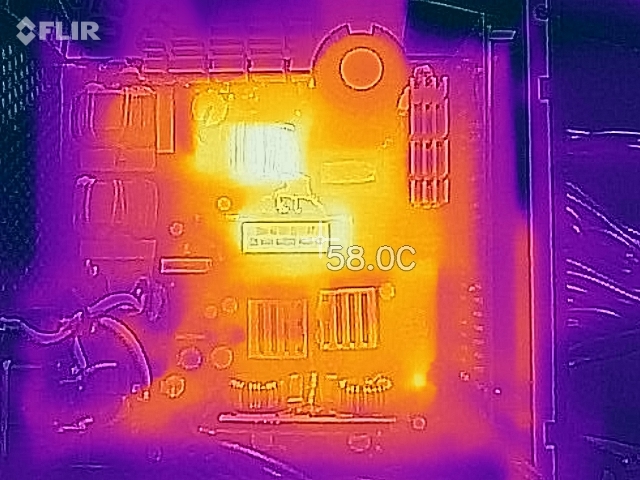 A thermal image reveals most of the losses are in the PFC inductor and main transformer. Given the low cost of MOSFETs nowadays, it’s not surprising the magnetics and capacitors are more subject to cost-cutting. 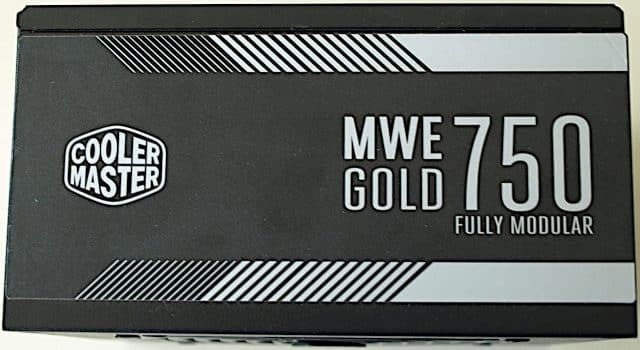 The lowest price I could find for the Cooler Master MWE Gold 750 is $67.54 on Amazon.com (it’s pricier on Newegg likely due to limited inventory). On the cheap side for the specs, but you get what you pay for and the (lack of) component quality prevents it from doing too well in this area. 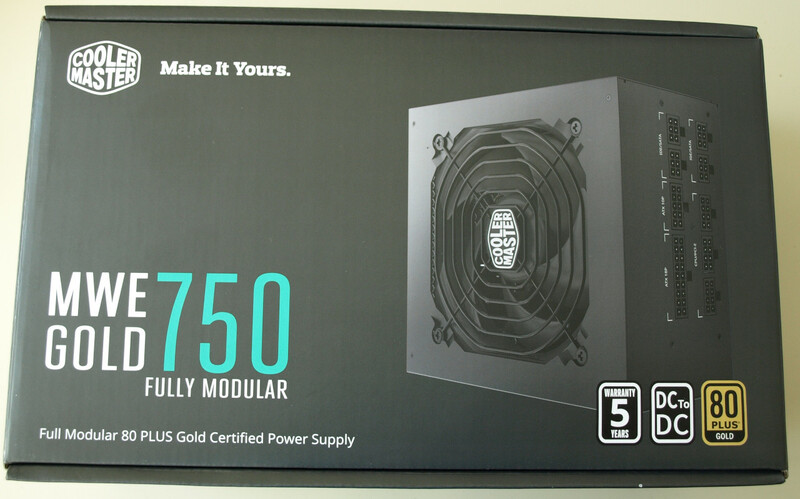 It compares favorably to the similarly priced, Rosewill PHOTON 750w 80 Plus Gold, which is also fully modular and has a 5-year warranty. However, stepping up to around $90 gets you the same specs in the Thermaltake Toughpower with better components and a 10-year warranty. The ripple is very good, the voltage regulation is more than good enough, and the efficiency is as good as claimed. Those figures are likely to degrade as the off-brand capacitors age, however. I would also like to see better efficiency in the 50-100 W region where most modern PCs idle at, but that might not be possible without greatly increasing the complexity of the control circuit. Off-brand capacitors, tiny bypass relay, and evidence of cost-cutting on the inductors and transformers doesn’t bode well for long-term reliability. 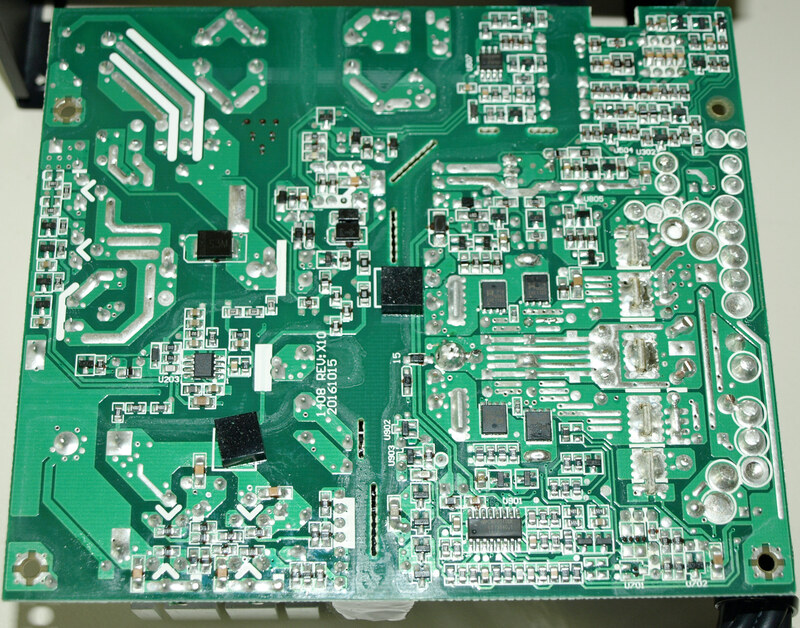 The assembly also shows some obvious defects. 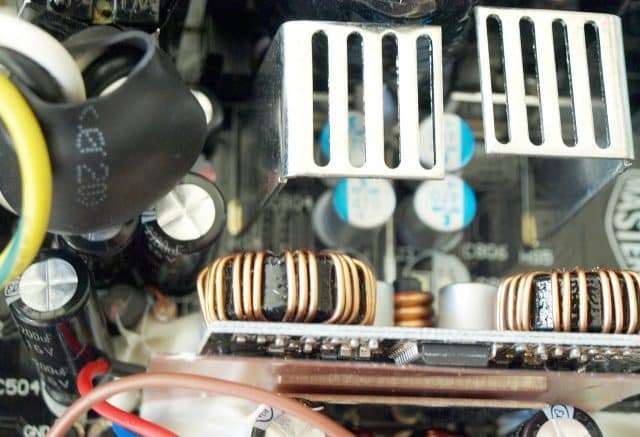 The GPU power cables putting twice as much load on the PSU side connectors as recommended by the PCIe specification isn’t exactly a good thing. The cost-cutting on the 5 V rail is asking for problems on PCs with a lot of SSDs and/or USB devices. 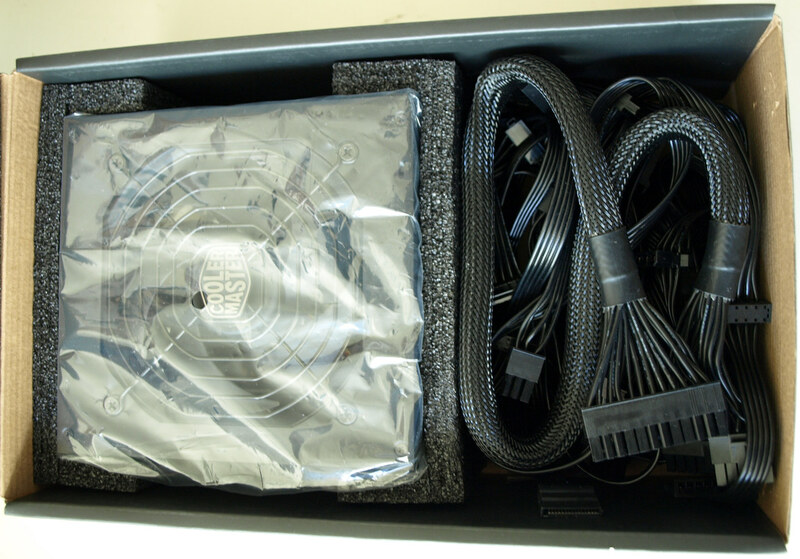 In summary, the Cooler Master MWE Gold 750 delivers on efficiency, but the less than impressive component selection doesn’t instill much confidence in long-term durability. It definitely would not be my pick for 24/7 use under heavy load. Z390 Motherboard Roundup: 50+ New Releases, from ASUS, GIGABYTE, MSI, and More! Thanks for the honest Review Mike. 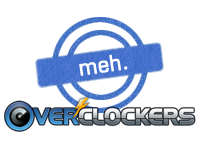 Overclockers.com has always given good reviews. Going back a while there was a Power Supply person here named Oklahoma Wolf who was one of the best on the entire web in my view and I sure hope Oklahoma Wolf is still around. Meh, is right! Cap-choice wise, it don't look better than the Corsair CX series that I have in my closet, IIRC.